Terrain Work, recently proposed a public artwork for a plaza underneath the NYC MTA station located at 40th Street and Queens Boulevard in Queens, New York. 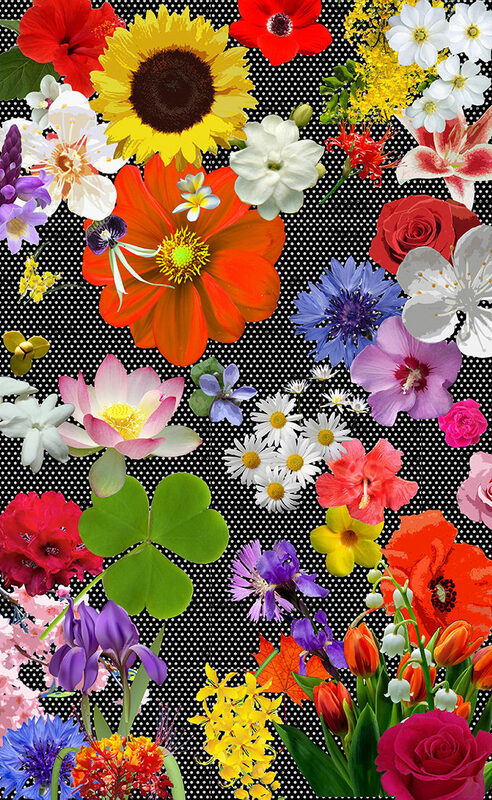 The artwork, “Queens Blossoms,” aims to capture the cultural diversity of the surrounding community while re-imagining a mundane space as a floral explosion. Queens is the most ethnically diverse spot on the planet. According to the Endangered Language Alliance, there are more languages spoken in Queens than any other place in the world. This multicultural atmosphere is woven into every aspect of the community, creating a unique cultural tapestry that is expressed through the daily rhythms of its residents. The diversity of people, food, music, recreation, fine arts, and many other integral aspects of daily life in Queens create a unique experience for residents and visitors alike. 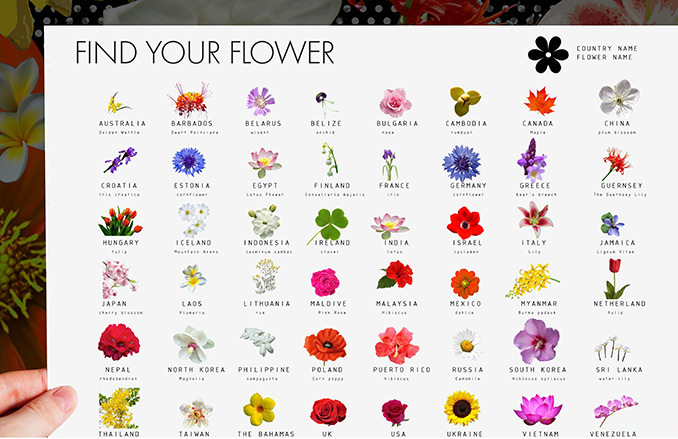 Terrain Work’s proposal, “Queens Blossoms,” represents the borough’s rich cultural diversity through a large mural adhered to the ground that stretches the length of the plaza and depicts a blossom from every country of origin currently represented in Queens. 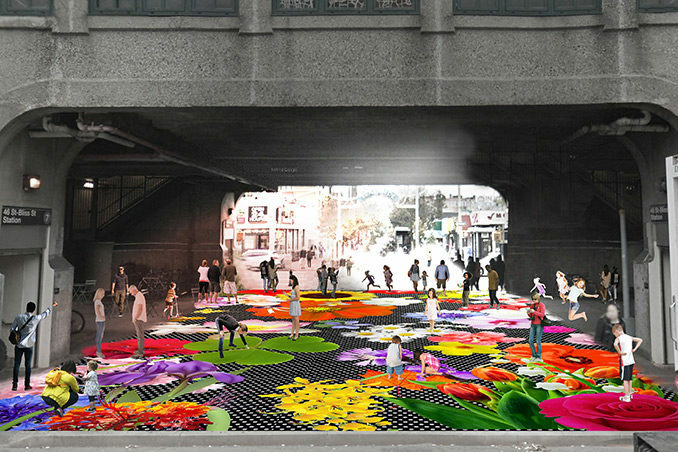 The walking surface creates an immersive and colorful floral explosion that animates and enlivens a space where plants are not typically able to grow. The size and scale of the blossoms create an atmosphere of wonder and delight that brings us back to how we experienced the world as a child. “Queens Blossoms” not only creates a visually striking piece of art within the plaza but also invites residents and visitors to learn more about the cultural diversity of their community. 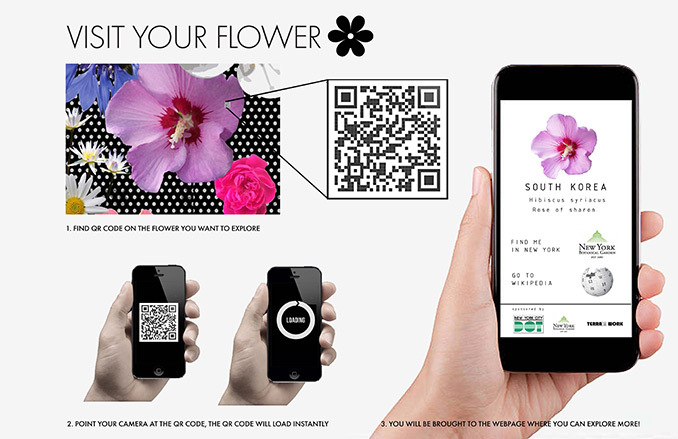 All of the flowers found in Terrain Work’s artwork are marked with QR codes that people can scan with their smart phones to learn more about the flowers and the countries they symbolize. Finally, partnerships with local gardens and botanical gardens will be formed such that “Queens Blossoms” serves as a virtual map that leads people to experience the actual flowers cultivated in and around New York City.